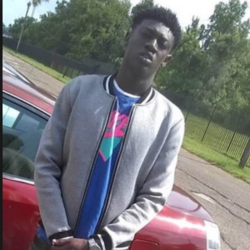 Multiple sources confirm the man killed in an officer-involved shooting in Austin, Texas on Friday is Aquantis Givens, 21, of Baton Rouge, according to a report written by the Austin Statesmen. Givens, a rap artist from Baton Rouge, was performing at a back to school rap concert in Austin. According to the report, officers responded to calls of gunfire happening at the venue where Givens was performing. Officers at the scene reported hearing gunshots coming from an alley behind the venue and took up defensive positions. Shortly after, Givens allegedly began running towards law enforcement with a visible gun. Officers gave multiple commands for Givens to drop the weapon before seven officers opened fire from their guns. An eighth officer also fired a stun gun at Givens, according to a police spokesman. The eight officers who fired their weapons have been placed on administrative leave, according to a spokesman for the department. They range in service from one to six years, according to the report. Internal affairs investigators will conduct an administrative investigation, along with a concurrent criminal investigation by the special investigations unit and the Travis County District Attorney’s office.